MAP Systems furnishes extensive array of marketing material design services from India. The altitude of your business reach depends hugely on the effectiveness of your marketing initiatives through advertisement materials like brochures and catalogs. These can be of different types based on their purpose, number of folds and shapes. Astutely crafted designs reflect the professionalism and reputation of your business. We understand your requirements and settle for nothing lesser than perfection with our brochure and catalog design services. Electronic brochures are really useful information tools which you can mail to the prospects. Simple hand-to-hand distribution of brochures can give your prospects a personalized brand feeling. After a meeting with your client, putting down a product catalog can be intelligent. It can be used for informing the customers about launch of your business services, new arrivals, offers etc. The way you use it and the perfection with which it is hewed determines the extent to which it can help you. If you want your business to grow and brand to get recognition, brochures are unavoidable. 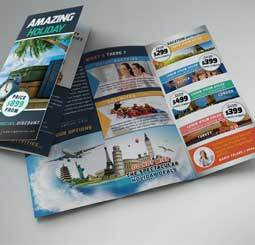 Businesses rely on brochure designing companies because of obvious reasons such as. Promotion of products and services or offers becomes easier. Why choose us for marketing materials design services? We have been offering impeccable graphic design services like brochures, catalogs, logos, magazines, flyers, banners etc. Our experts make optimal use of texts, images and symbols to guarantee custom brochure design solutions that are most operative for your business. Bi-fold design or half fold: Here one or more sheets of paper are folded once in two halves with fold line running perpendicular to the longest side. Folding would have 4 panels, font and back cover with two inside pages. Tri-fold Brochure or 6 page roll fold design: Here sheet of paper is folded two times. First right panel is folded inwards and let panel is folded inwards as well. We have 6 panels here 3 outside and 3 inside of almost same sizes. Multi-page Brochure design or booklets or 8 page or 12 page bi –folds: Here booklet of multipage bi –folds is bound together. When bound together 8 pages booklet i.e. 2 bi –folds or 12 pages booklet i.e. 3 bi-folds are created. Gate fold design: These brochures are not very commonly used. It is a high impact creating design when used as right marketing source and can have as many as 6 panels. Double Gate fold design: These are again high marketing impact creation materials, are expensive and large with 8 panels. These are very useful for high end corporate presentations, services and educational institutions. Accordion fold or Z-fold design: These are similar to tri-fold; however flow of reading needs to adjust to this structure. They adapt easily to small or big sized papers. Parallel fold design: It is similar to basic folds assigned in parallel to one another. It gives more space to create large scale designs about products or services. Exotic fold design: This is a new and unique brochure fold idea wherein we can create a design without any limitation of creativity. Cross Fold design: These are also known as right angle fold or French fold brochures, would have folded front and back covers. Flyer design: Single sheet brochure alternatives to leaflet. They are one sided or two sided, used for mass promotional campaigns. 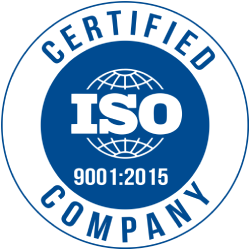 Though our working methodology varies based on the specific requirements, we typically follow certain well defined processes. Partner with MAP Systems for Innovative Brochure Design Services.We provide complete attention grabbing promotional brochure designs services across the globe including India, UK, USA, Australia, Canada, UAE and other Middle East countries. If you are looking for the best and affordable custom brochure and catalog designing company in India, just give us a knock. We will be there to help.